New engine and new deck 'Lady Adelaide' is something special, a beautiful Timber Gaff rigged Cutter that is clearly a labour of love. She is an amazing timber yacht with steam bent ribs and copper rivets plenty of uncluttered deck area a practical cockpit and storage in the aft lockers. She is very traditional and been kept in her natural state. Bellow deck she is a classic timber boat with plenty of head room and plenty of natural light through her deck skylight hatches and she has plenty of accommodation for you to enjoy with family and friends. 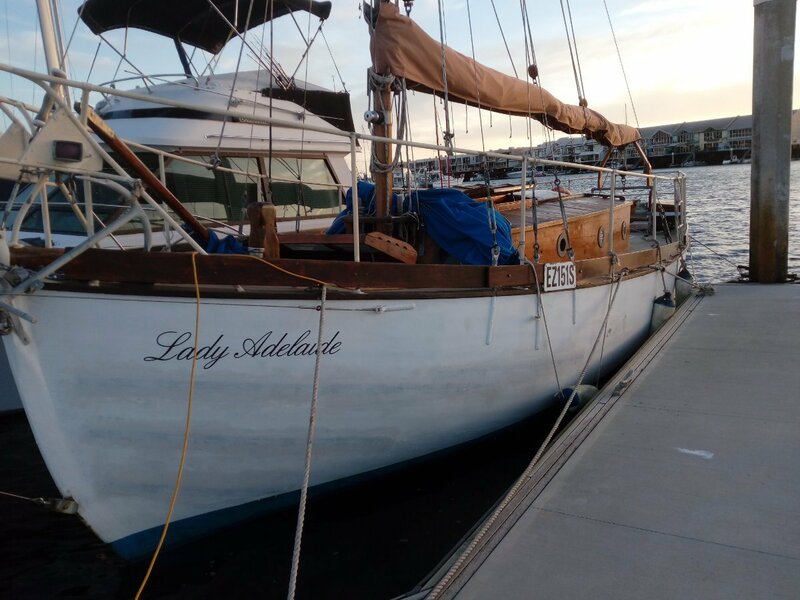 'Lady Adelaide' is a must see timber yacht she is ready to step on and enjoy she even has davits and a dingy with traditional ores for getting ashore when under anchor. Single V berth in large cabin could be converted to double, 2 x saloon couches both convert bunks, 2 x quarter berths that con be used as beds or storage each of these have doors to close them off.